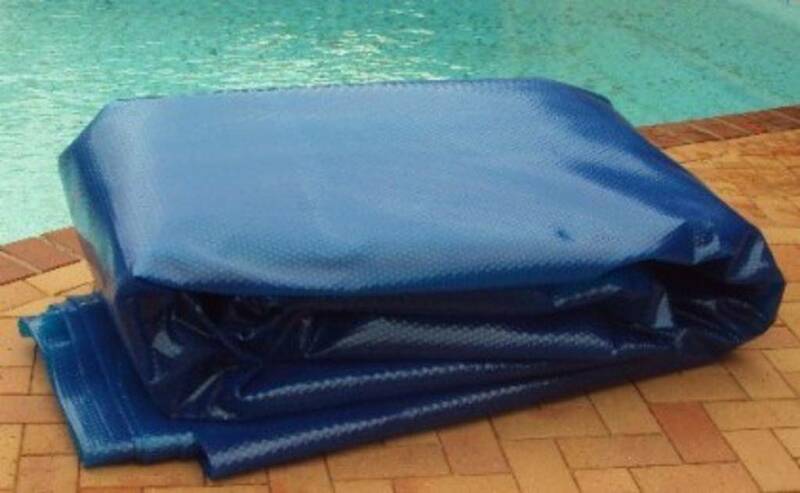 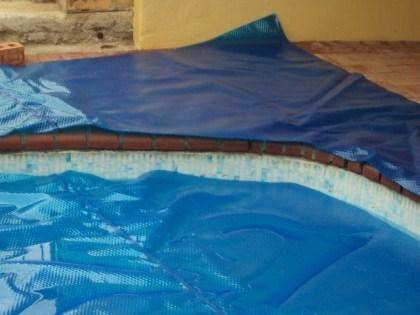 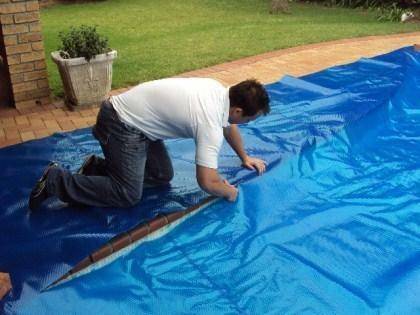 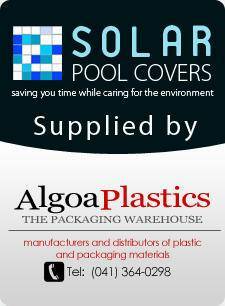 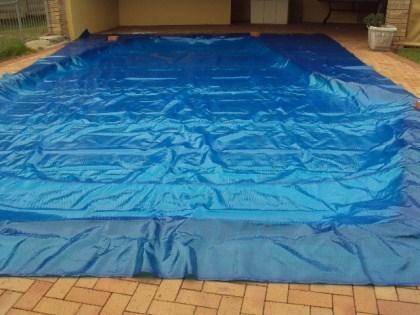 Order the pool cover to cover the entire surface of the pool. Lay the pool cover evenly over the surface of the pool so that it floats on top of the water. Cut the pool cover towards the edge of the coping stone so that the edge of the pool cover floats on top of the water flush with the sides of the pool. 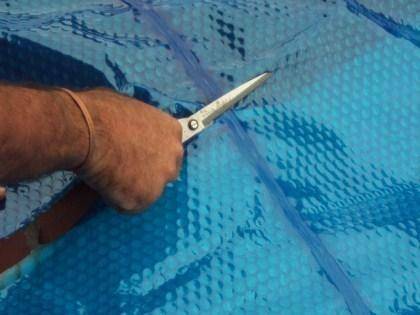 Continue to cut all the way around the pool. 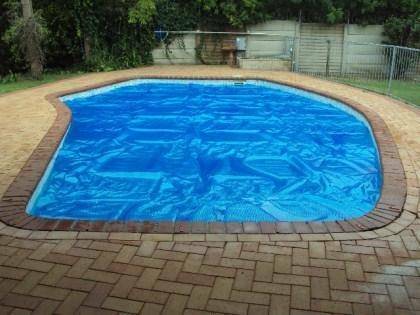 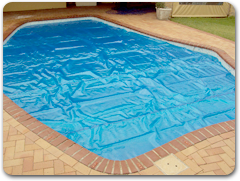 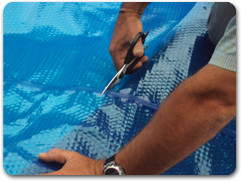 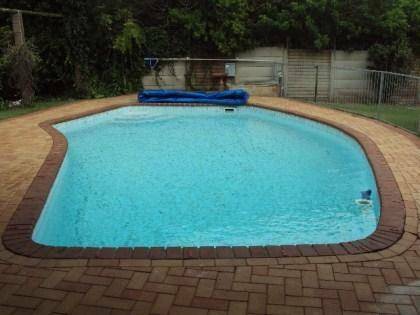 Ensure that the pool cover remains evenly placed over the pool.